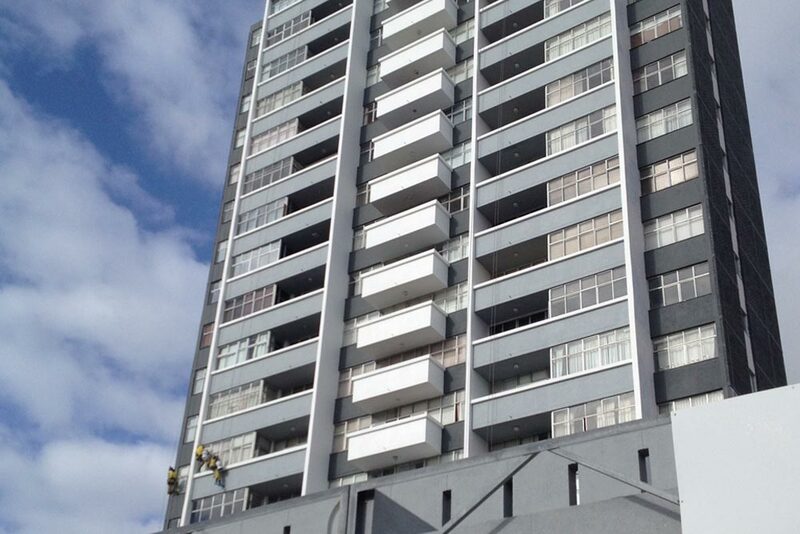 Skysite carried out a comprehensive redecoration of The Towers in Sea Point. The scope of work included the residential and commercial components of the building. There were major structural repairs to the concrete carried out, as well as re-pinning the brickwork, and significant plaster repairs. All rooftops and walkways were re-waterproofed, and the external façade received a completely new paint scheme. Skysite re-tiled the walkways, stairwell and entrance foyer, and created a new entrance and reception desk to finish off the modernized look of the block.